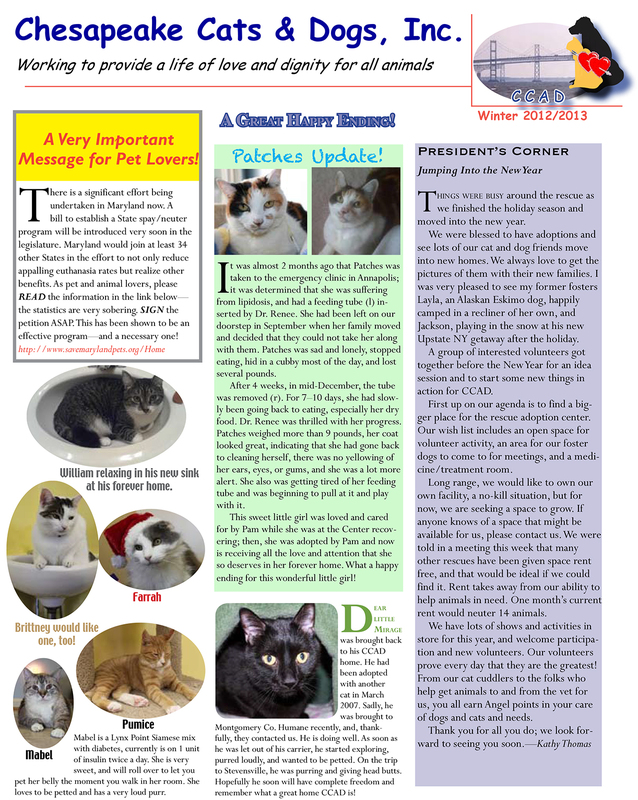 Chesapeake Cats and Dogs retains a professional graphics artist who volunteers her time and talent to producing the CCAD newsletter. You can see newsletters dating back to 2006 detailing events and progress over the years. If you would like to be included in the mailing list, please email us.